Whew, these last couple of weeks have been a whirlwind! It has been at a least a week too long since I’ve posted! I do have some cards to share. 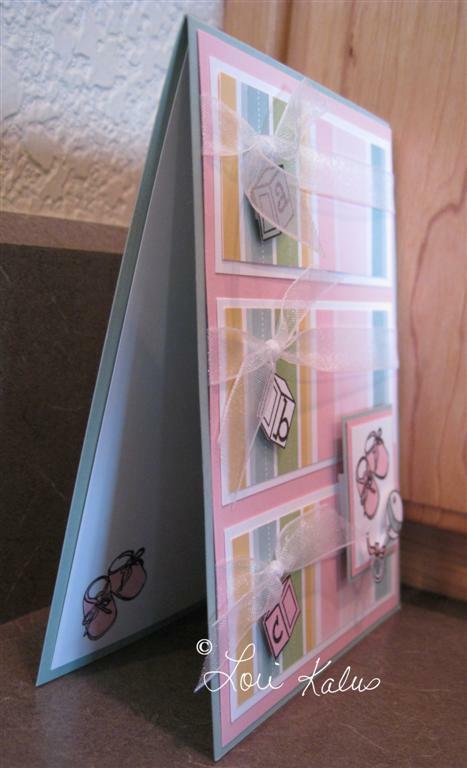 I needed a couple of baby cards for two friends who have had baby girls recently. I have been waiting for my Hanna Stamps order to arrive so I could use their B is for Baby set. I used this week’s sketch challenge over at Splitcoast (SC205) for my layout. I used some DP from SU! (Spring Fling, retired). The baby rattle and the a,b,c blocks are all cut out and placed on dimensionals. The layer with the baby shoes is also on dimensionals. I took a picture from the side to give you a little better idea of the different dimensions I have in this card. 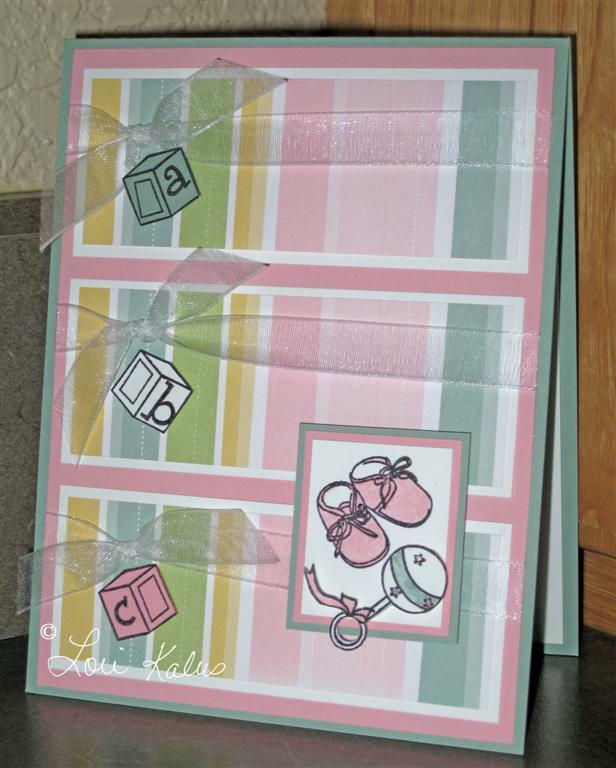 I stamped and colored the baby shoes in the inside of the card on WW cardstock, along with the sentiment “B is for Baby” across the top. Thanks for looking. I’ll be back soon with another Christmas card and a Guy card Have a great day.